Shooting tips from our expert! Wise words from a wise head! Last weekend, as part of my work’s Christmas party, hubby and I headed to the Augusta Gun Club to try our hand at Clay Target Shooting. I don’t know about you, but I’ve only ever held a gun once in my life. It was an air-rifle and if I wasn’t ten, I must have been eleven or twelve. We were on a farm with some friends and we were pinging at silver-eye birds that had been demolishing fruit in a fig tree. I remember being handed this air-rifle and told how to use it. How carefully I lined it up, how very excited I was… how much I concentrated on hitting that target. Squeezing the trigger and hearing that noise… then watching a poor little bird flap and flop from the branches and land on the ground hopping and hurt. I’d winged it you see, and the boys who were with us had to grab the bird and put it out of its misery. I felt like the world’s biggest heel that day, and I’ve never touched a gun since. Photo from the Augusta Gun Club Facebook page. A little bit about the Augusta Golf Club… it’s like shooting off the edge of the world. 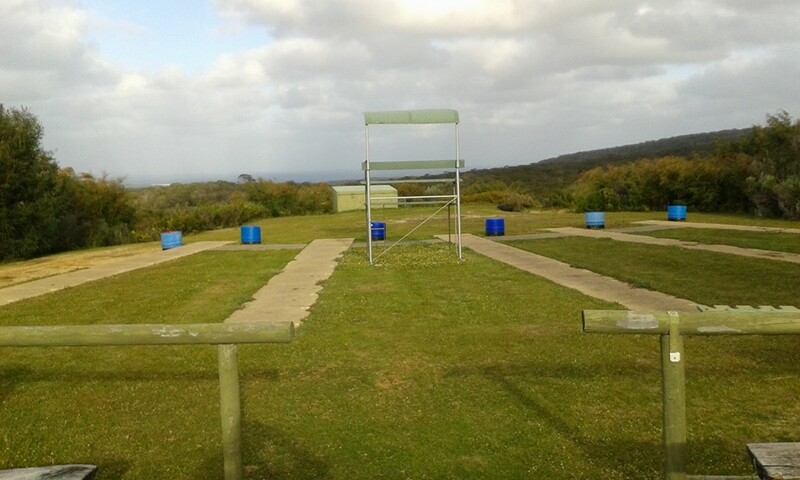 The gun club is high up on the Leeuwin Naturaliste Ridge, overlooking the Blackwood River to the town of Augusta far below. You can see the valley, river and sea and on a clear day, they tell me you can see all the way to Black Point. Saturday afternoon wasn’t clear, in fact, it was hazy and smokey, and someone said it was from smoke blowing across from the dreadful bushfires that plagued Esperance last week. Now – a little bit of bookish segue here: In my book His Brand Of Beautiful, there’s a scene in the outback where the hero and heroine have a ‘shoot out’ – shooting at rock targets on the branch of a tree. When I wrote that scene, I used Google, and Youtube for shooting research. Christina Clay (the heroine in that book) is a crack shot – having shot clay targets with her father for years… and she beats Tate (the hero) and wins the bet they make. 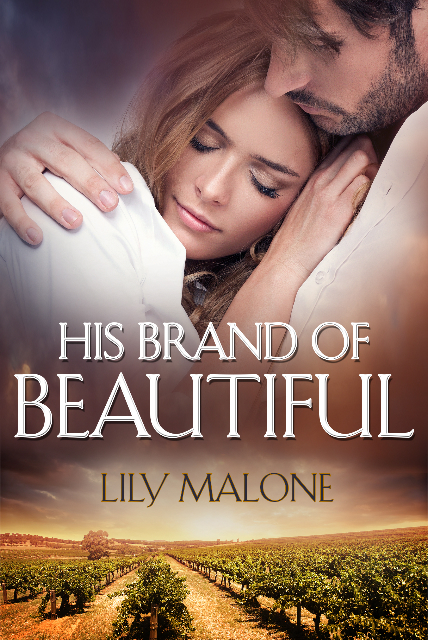 Like many a good romance, the scene ends with a firecracker kiss and a bit of groping by an outback river bed… 🙂 I wish I could go back and write the scene now. I’d have a much better idea of the weight of the gun and how the gun felt in my hand, the noise/kickback/recoil… you should see the bruise on my arm! 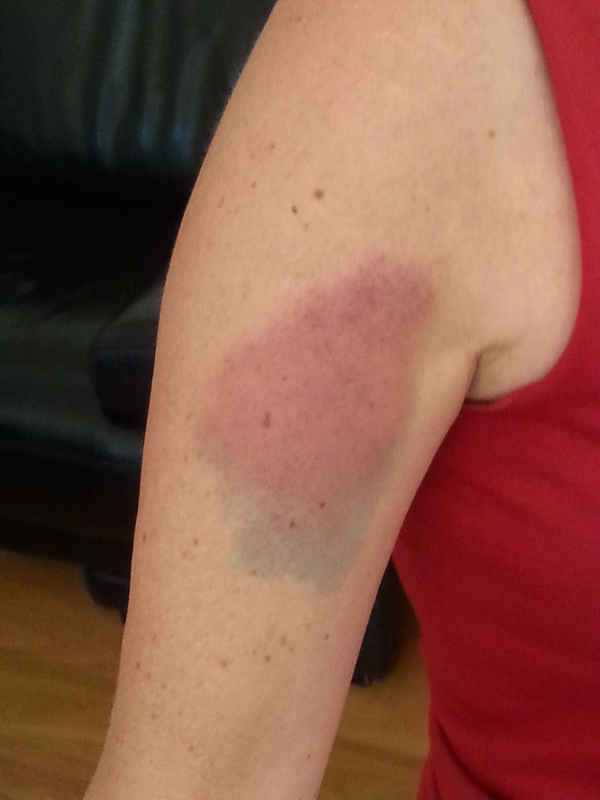 It’s fairly impressive this bruise! Not that we’re competitive or anything (cough) but hubs and I lined up in the first three people to try our hand. We all got a bit of expert coaching, and up we stepped. I can’t describe how completely alien that gun felt in my hands. I had absolutely no idea what I was supposed to do with it. I had 10 real bullets in the pocket of the vest they gave me – and those were heavy and alien too, like having a pouch of 50c pieces or a bag of marbles (or both) in your pocket. We had to shout ‘pull’ when we were ready. I think two or three of the clay discs flew out before I got it together enough to actually try and shoot one. The first time I squeezed the trigger and the gun went ‘bang’, I squealed so loud another two or three targets shot out because of the noise. The three of us each had ten bullets, and I think it’s fair to say that the odds of getting through unscathed were very, VERY good for the thirty flying clay ‘pigeons’. I have no idea how close any of us were to actually hitting one. Spectators would comment that we were left of the target, or above or under it, or close, or not close at all. I had no idea. BUT! I was the first to actually hit one. I didn’t smash it in the middle and obliterate it like some of the others did later. I winged it. But it was a hit all the same… and (not that we’re competitive or anything) but, my hubby didn’t hit one! For the record, later hubs and I had another 5 bullets each. I didn’t hit anything else but he did, if not 1, then 2. But that doesn’t matter, does it… I hit it first! 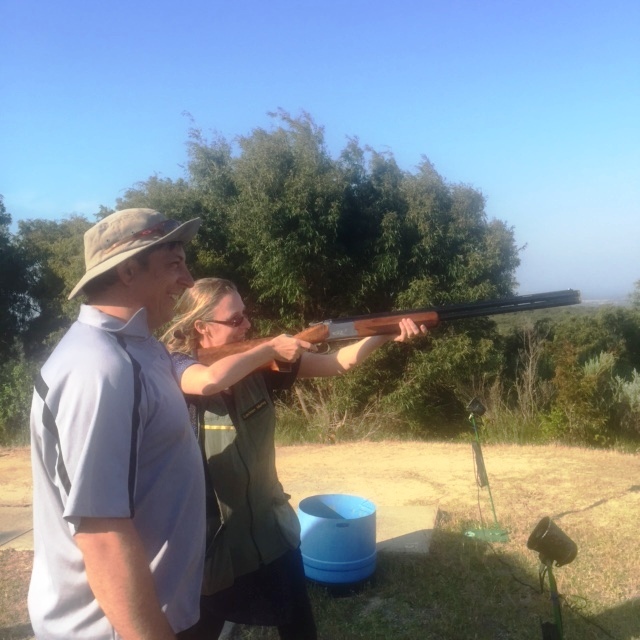 Thanks Mark Murray for the expert lessons and for lending us your guns, and for the idea to try clay target shooting for our Christmas party in the first place. It was a whole lot of fun. p.s. Dear work colleagues, if I can’t type this week because of my bruise, can I have the week off? C’mon… you’d chase him too, admit it! Here’s a snapshot of my Friday. It’s a busy one, coming right up! First, it’s a school day, so there are two boys to get into uniform, make lunch for and get to school on time. A complicating factor is that the youngest boy turned 6 yesterday, and he has so many presents to play with/look at/draw in/construct, getting him interested in something as boring as brushing his teeth and getting ready for school is gonna prove difficult. Tonight I have to make a birthday cake for Mr 6’s party tomorrow. Plus, party loot bags. Mustn’t forget to make those. It’s also the local agricultural show starting tonight, which means there may be sneaky firework watching… but that will depend on the appropriateness of above-mentioned cake. Otherwise, I’ll be baking a new cake while the fireworks snap, crackle & pop. We have a visitor! 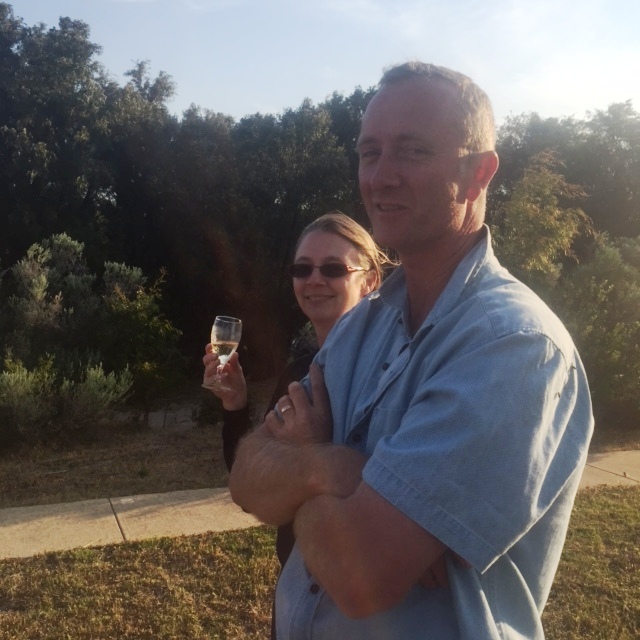 My brother-in-law arrives from South Australia tonight for a week’s holiday with us. Little does he know there’s a 6-year-old birthday party to contend with tomorrow. (And he thought he’d have peace and quiet… ha-ha). 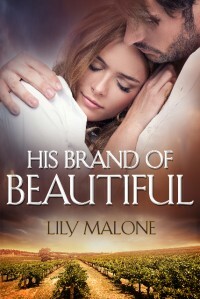 His Brand Of Beautiful is 99c at Amazon for today only… if you are interested in it, please click through to the book here. 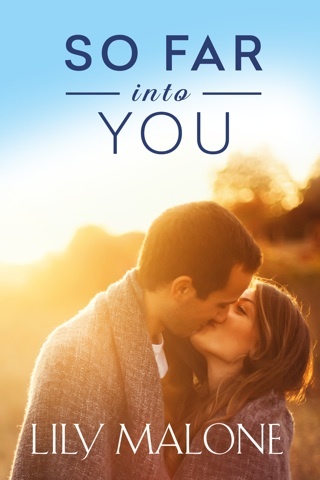 I was told it was also the daily deal at Kobo, but I can’t see it on special there yet. If I get an updated link, I’ll post it during the day. So mine is a busy day. 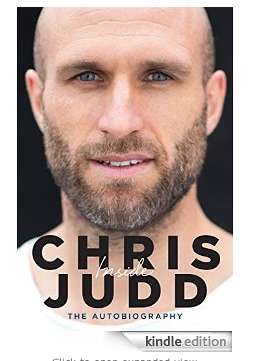 My goal for the day (other than to bake a worthy birthday cake) is to see if at some stage during today, His Brand Of Beautiful can find itself in a screen shot close to Chris Judd’s new autobiography. We’re snuggling quite close: HBOB is 132, Juddy is 139. He was my favourite player at the West Coast Eagles till he defected back to Melbourne… where upon he was still a great player, just not my favourite anymore. Whatever you’re up to this weekend, I hope it’s a fun one! POSTSCRIPT!! Dreams can come true! Look world, look what happened to me and Juddy on Friday!! I’ve been a published author exactly one year today, March 1st. That’s when in my brain, I remember making the distinction that I could move from being an ‘aspiring writer’ to a ‘published author’… even while remaining very much an emerging author with a lot to learn. 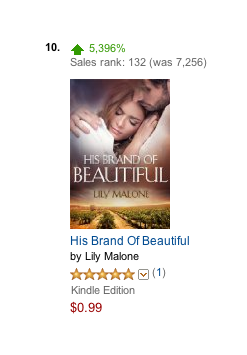 His Brand Of Beautiful hit the cyber-world 12 months ago, thanks to Escape Publishing. I realised I was as guilty as the next author for checking my rankings, checking them against other author rankings and feeling either pleased, or disappointed, depending on a number. It’s a hard thing to deal with, this beast inside me that makes me check and recheck my book links on Amazon, Google my name (though I’m not as bad at this now), look for mentions on Twitter or Facebook, and wonder why, WHY? aren’t more people thinking my book is brilliant. Why aren’t the reviews better? Why isn’t that ranking higher? 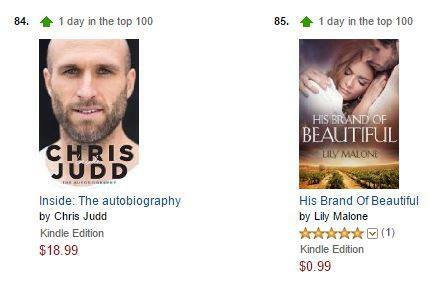 Why is that book I couldn’t even finish sitting in the Top 100 on Amazon? Or iTunes? Or anywhere? In its own way, the roller-coaster following publication is as bad as the roller-coaster pre-publication, when you are caught in the merry-go-round of queries and submissions, followed by those interminable waits for responses from agents or publishers. But I’m still here. His Brand Of Beautiful has not made me rich, or famous, but it has brought me many wonderful and cherished friendships, and a lot of fun. 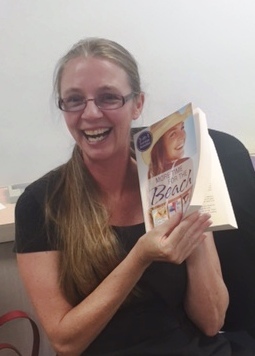 I hope it has brought the people who’ve read it, a giggle, a heart-flutter, and some joy. To see more about His Brand Of Beautiful, click here. 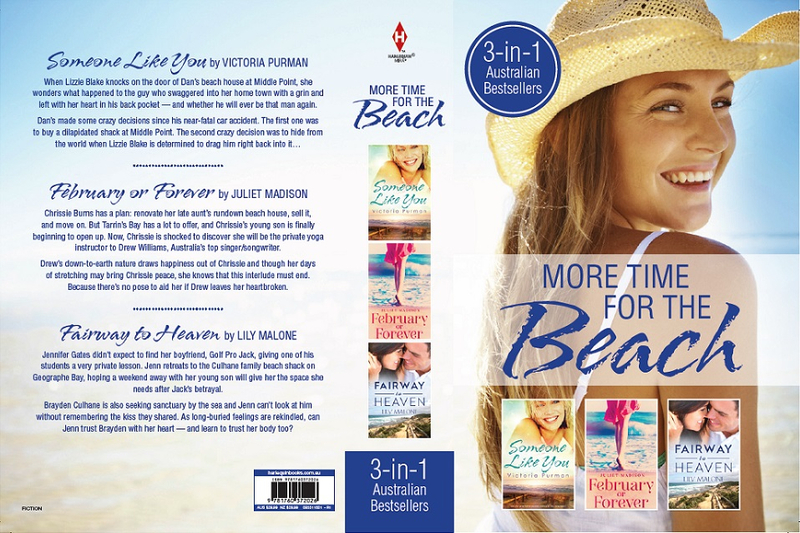 I’m participating in the Three Wishes Blog Blitz, hosted by author Juliet Madison! From 2nd to 6th September you’ll have the chance to win some awesome prizes at all the blogs participating in the blitz, including mine. The Lily Malone ‘wishlist’ is a bit too x-rated to include in a non-x-rated blog (it includes way too many scenarios with Timothy Olyphant and Charlie Hunnam) so instead I thought I’d let the heroines in my books rub their own magic lamp today, and tell you what they’d wish for. Legs as long and luscious as those of her best friend, Lacy Graham. 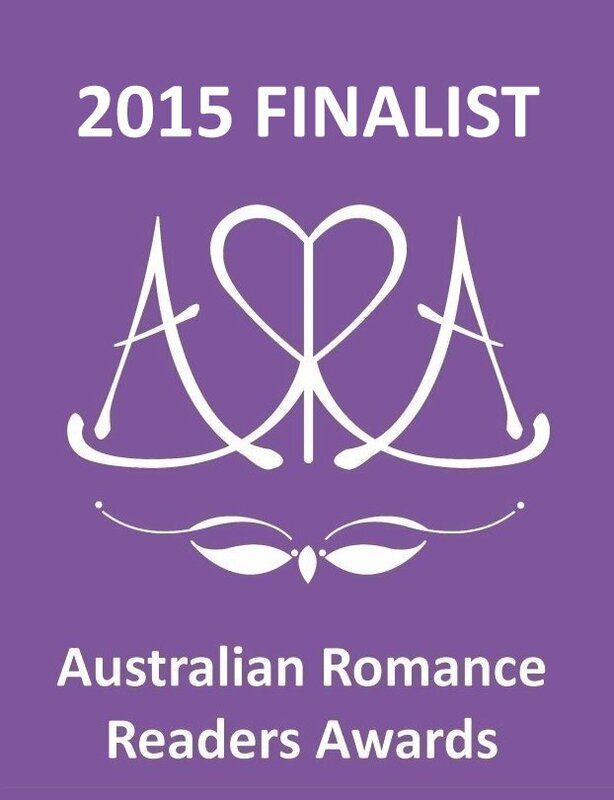 Olivia Murphy is the Ducati-loving viticulturist who features in my contemporary romance novella, The Goodbye Ride. This is what Liv would wish for if she found a magic lamp in one of her vineyards. That cooking salt and pepper squid was as easy as making baked beans on toast. Jennifer (Jenn) Gates is the golf-playing, freelance writing, mother of a toddler son, now coming to life in my new book, Fairway to Heaven. 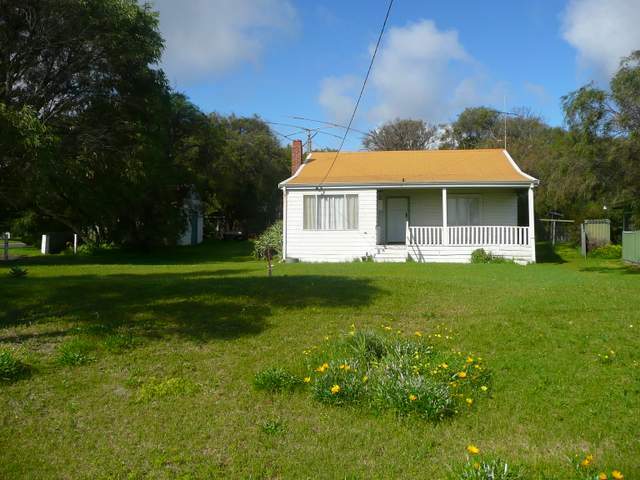 I am about 20,000 words in and Jenn is trying to get her mojo back (after discovering her golf-pro boyfriend cheating on her with one of his golf students) on a long weekend stay at this beach shack. Follow the instructions below to win my prize, and then you can click over to Juliet’s blog to enter her prize draw, and see the list of all other blogs taking part and enter their giveaways as well. How cool is that? My prizes include your choice of: a copy of His Brand Of Beautiful, a copy of The Goodbye Ride, and (because it’s so new) the opportunity to have a character named after you in my new book, Fairway To Heaven! I’m also offering a world-exclusive! 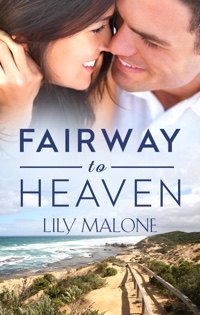 Like my Facebook page to read my 3000-word short story Fairway To Heaven, on which this new book is based. 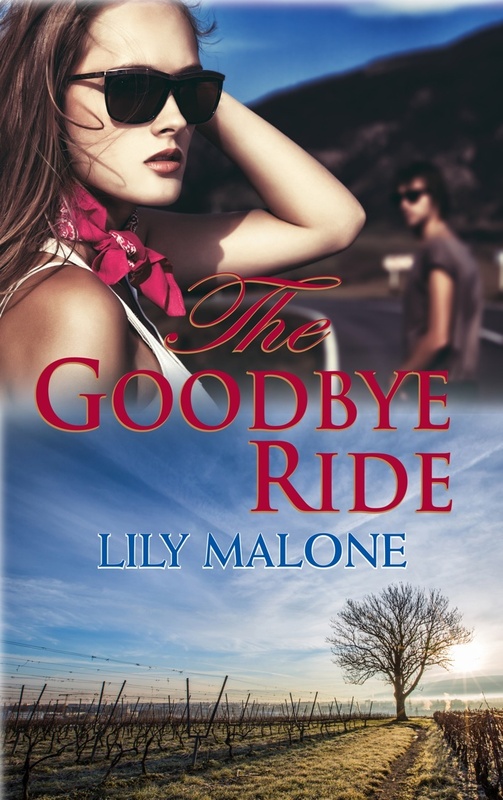 (You’ll need to send me an email at lilymalone@mail.com for that one too). 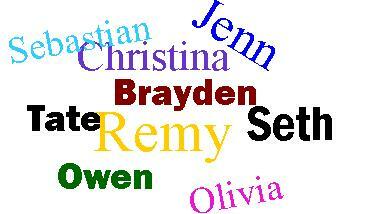 My question: If you could be the heroine of a movie or a book, which heroine would you wish to be and why?